Let our technicians maintain your vehicle and its value. We offer Automotive service / Performance upgrades on all diesel & gas trucks and specialize in European models cars. Now with 2 locations to service you better. We Specialize in all Suspension Lifts, Custom Wheels, Tires, Exhaust, Programmers, Lights, After Market Accessories and much more. We have listened to our customers and we at CiC are proud to offer you another location to better serve your needs. With the same family values pushing us forward we have opened a larger facility with excellent qualified technicians and state of the art equipment to better serve all your mechanical needs foreign and domestic. From the race tracks of Maranello Italy to the Autobahn in Germany European cars are known as the pinnacle of all automobiles. Lead by Brett Rocha our elite group at CiC was put together specifically to cater to all your service needs. With over 90 years of combined experience we would be glad to help you get safely to your destination whether it be work or across Canada in your daily driver or to help you rebuild the engine on your classic Ferrari. Got a Pickup in need of service or maybe you want to make it yours with more horsepower, Throatier exhaust, Suspension, Custom wheels or anything you desire to bring your truck to life. We have all the means and products to make your dreams come true. With Sean Dillion leading our team and driven to fulfill all your mechanical needs he is focused on maintaining the value of your vehicle for years to come. 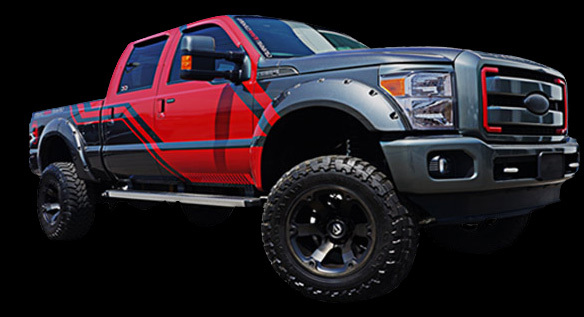 With a full line of industry leading Performance and exhaust modifications, complete top of the line suspension systems and all the aftermarket accessories, custom wheels and name brand tires you need to personalize your ride. Offering you warranty approved service and the support of aftermarket powertrain warranties leaves our customers with piece of mind and support no matter where they find themselves travelling.